Speeding West plays the TD Vancouver Jazz fest on Canada Day, July 1st! ​Hi folks...please take a minute check out Zephaniah & The 18 Wheelers and his Kickstarter funding project above. ​This project is very dear to me not only because I'm a big fan of Zeph's music but also because I was asked, along with one of my favorite guitarists and musicians, Jim Campilongo, to co-produce the record. If you dig the songs and sounds of Merle Haggard, Marty Robbins, Carl Smith, Wynn Stewart, Johnny Paycheck, Ray Price, Ernest Tubb, Red Simpson, Dave Dudley, Del Reeves, Red Sovine, etc...then check out the link and, needless to say, please help out if you can!! And though you'll notice we're gratefully close to reaching the first Kickstarter goal, helping us achieve the "stretch goals" will really go a long way with the final and costly expenses of mastering, duplicating and promoting the music. 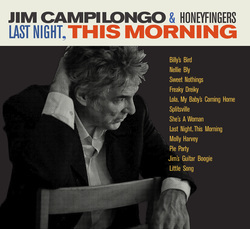 The record features some outstanding performances by Jim Campilongo, Jon Graboff, Roy Williams, Scott Colberg, Nicholas Anderson, John Shannon, Alex Hargreaves, "Sleepy" Mike Barnett & Veronica Davila. Oh yeah, I'm on a few tracks as well! And thanks to Adrian for my website splash page photo. Check out more of his excellent photography by clicking here. LIMITED EDITION VINYL IS NOW AVAILABLE!! !